When my toddler goes down for a nap at her Swiss grandparents, and instead of sleeping she throws all her stuffies and blankets out of her crib, strips the bed, then sits in the middle of the bare mattress, her Grosi, my mother-in-law, calls it a Chilbi. It’s at these festivals (and numerous other weekly markets, yearly markets, Christmas markets, and general festivities) where you’re bound to find Magenbrot, pieces of Lebkuchen (German for gingerbread) with a sugary coating, often in bright pink bags. Magenbrot means “stomach bread”, probably referring to the purported digestibility of the heavily spiced gingerbread. In French it has the much more appetizing name of Pain des Alpes, bread of the Alps, and according to the Kulinarisches Erbe, the German name was once the similar Alpenkräuterbrot, alpine herb bread, likely owing to its flavouring. Magenbrot may have been seen as an easily digestible fair food, but some tales of its origins are harder to swallow. 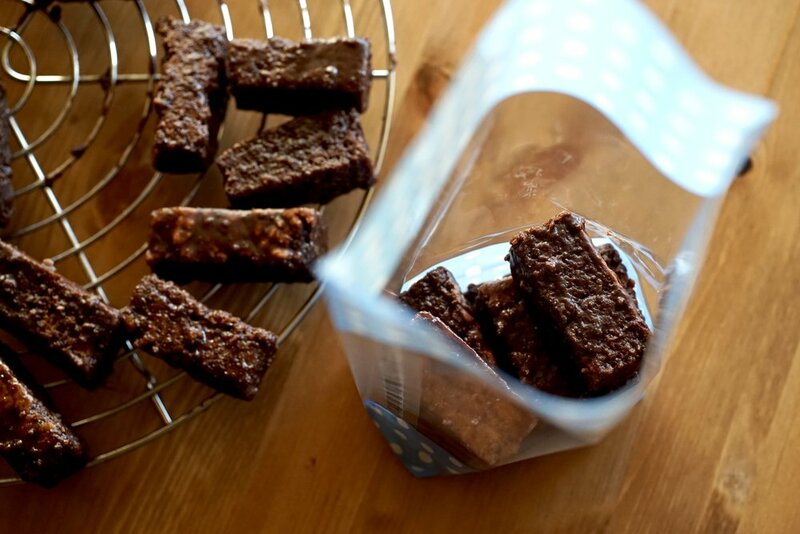 One claim is that Magenbrot was a way for bakers to use up lots of old bread, using it as a base for the gingerbread and disguising poor quality with lots of exotic spices and sugar. 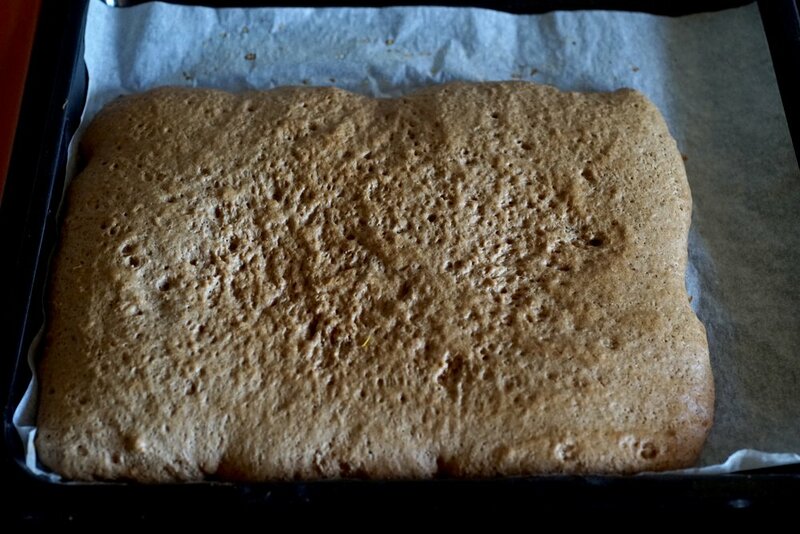 By the middle of the 20th century a standardized recipe for the bread had appeared, recommending that market bakers stop hiding inferior gingerbread under thick glazes. Today, Magenbrot has become a ritual for market goers, including my husband who has been buying bags since he was a kid. There are plenty of recipes online (Betty Bossi, Migusto, etc), but I was disappointed with many that I tried. Rather than gingerbread with a dark, sugary coating, most of the recipes were gingerbread dipped in chocolate. While a little chocolate in the glaze is ok for colour and coating, too much takes away from the spiciness of the bread itself. The best Magenbrot recipe I found came from Luzern’s Confiserie Bachmann. 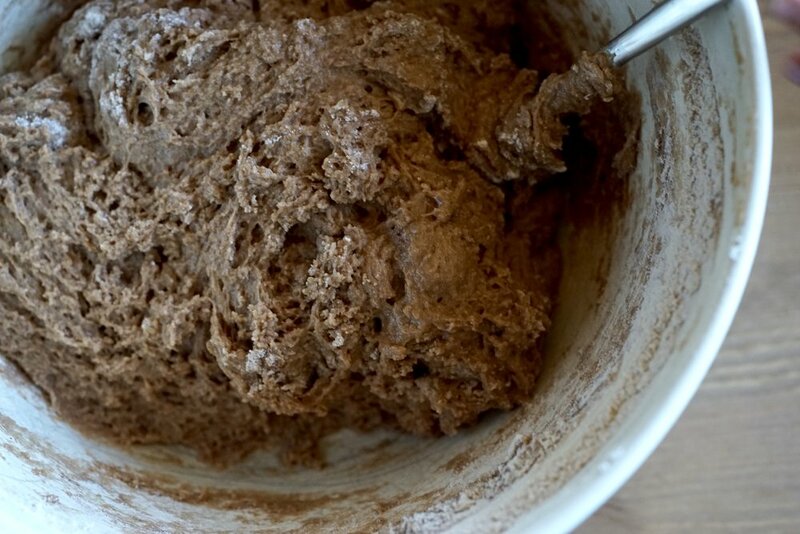 In a large bowl, whisk together the flour, sugar, baking and cocoa powders, cinnamon, and lebkuchen spice. In a medium pot over medium heat, warm together the milk, water, and honey. 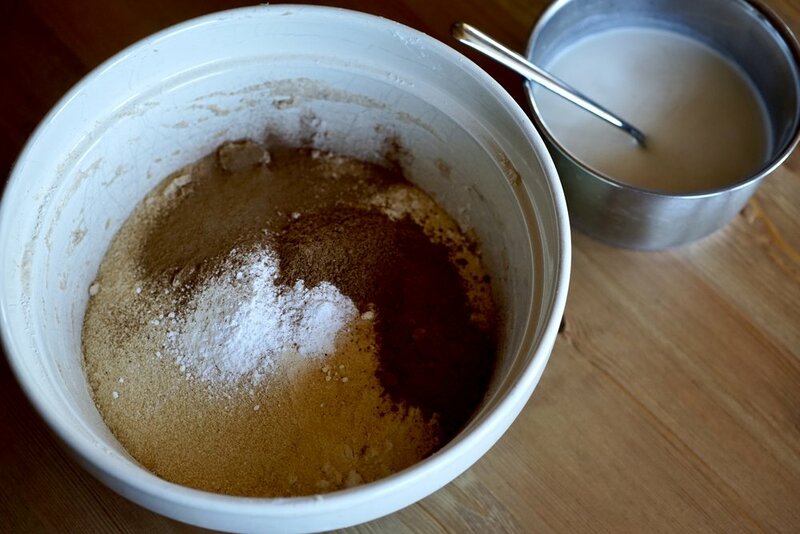 Once the honey has liquefied, give it a good whisk, then pour it into the dry ingredients and mix gently. Spread the mixture onto the parchment lined baking sheet. You might need to use an offset spatula, or your hands, dipped in cold water. Bake for about 20 minutes, or until the top is set. Once it is cool enough to touch, cut into little rectangular blocks. In a medium pan over medium-low heat, melt the butter and chocolate. Pour this into a large bowl. Sift in the cocoa and icing sugar, and then whisk in the water. Working with a handful of bread at a time, toss in the glaze until fully coated, then place on cooling racks to dry. It takes a few hours for the Magenbrot glaze to dry completely. Most recipes call for raw sugar (Rohrzucker / sucre de canne brut / zucchero di canna greggio), though white should also work. Most recipes call for one Swiss kind of whole wheat flour known as Ruchmehl / farine bise / farina bigia. This is a light kind of whole wheat flour. I have also made it with regular flour and it turned out mostly the same.